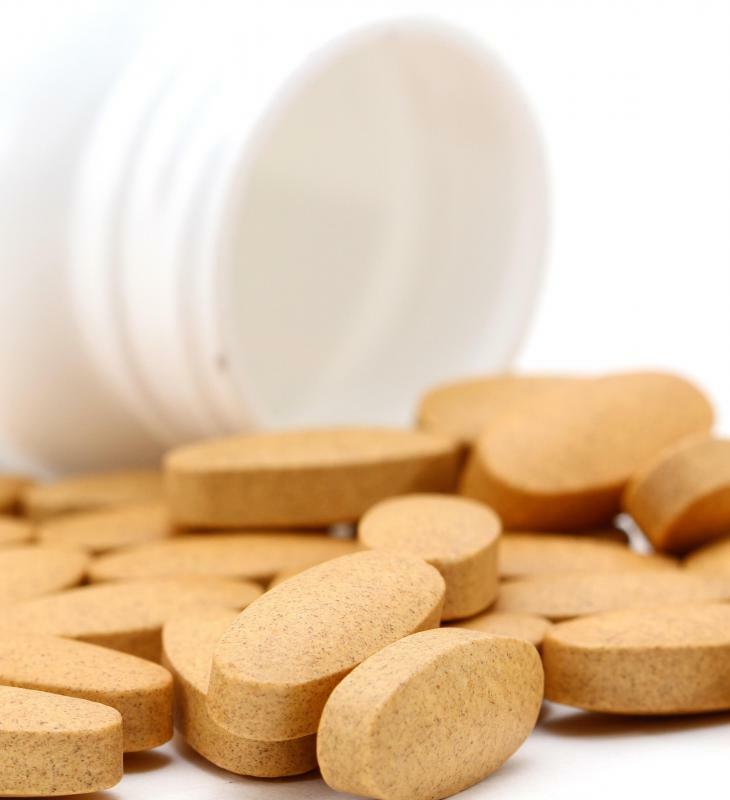 Vitamin D3 can be taken in pill form. 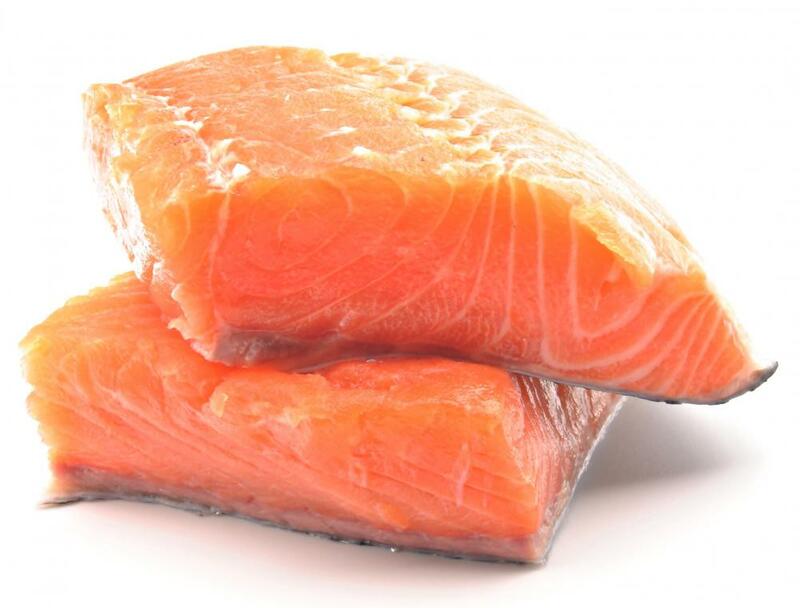 Vitamin D3 is present in salmon. Vitamin D3, also known as cholecalciferol, is actually a secosteroid hormone and not a true vitamin. It is produced by the body when the skin synthesizes sunlight after exposure to ultraviolet (UV) rays. Besides sun exposure, other ways to get the vitamin in the diet is through fortified foods or supplements. Sufficient levels of vitamin D3 are necessary for optimal calcium absorption, which helps build strong bones and teeth. Too much of it can be toxic, however, and a deficiency can also lead to problems such as osteoporosis and rickets. The most common way for one to get vitamin D3 is by direct exposure to sunlight. After contact with UV rays from the sun, skin produces cholecalciferol, which is then carried to the liver where it is converted to calcifediol. From there, it is transported to the kidneys and converted to calcitriol, which is the most active form of vitamin D.
In order for the skin to synthesize vitamin D3, it needs direct sunlight, without sunscreen and not through a window. The length of time spent in the sun should be limited because of the risk of skin cancer, however. For those with fair skin, about 20 minutes in the sun is enough for the body to produce adequate amounts of the vitamin, but those with dark skin might need longer. Exposure to sunlight generally will not cause vitamin D toxicity because after a certain amount of time, the vitamin is being produced at the same rate that it is degraded and destroyed. Vitamin D3 can also be obtained through animal products and supplements. Some kinds of fish, such as catfish, salmon, and tuna, contain the vitamin, as well as fortified foods like milk and cereal. It can also be found in lanolin, which comes from sheep. Additionally, one can take vitamin supplements that typically come in a pill or liquid form. Vitamin D3 is often preferred over vitamin D2, which is synthesized by plants, because it is generally more effective and easier for the body to absorb. The body uses vitamin D3 to help with calcium and phosphorus absorption, which increases bone density and promotes strong bones and teeth. The vitamin also regulates the neuromuscular system and immune system. It is generally recommended that adults get at least 400 IU of vitamin D per day, but no more than 2,000 IU, to get the full benefits. Too much vitamin D3 in the body can cause an overdose, whereas too little can lead to a deficiency. Toxic levels that cause an overdose can result in kidney and heart problems. A deficiency increases the risk of osteoporosis, rickets, and certain types of cancer. What are Common Effects of Vitamin D? What are the Symptoms of Vitamin D2 Deficiency? If you are concerned that you are not getting enough vitamin d3, it is important that you discuss your concerns with your doctor. He or she will help you understand the best treatment for you, whether it be changing your diet or taking vitamin d3 supplements.